Prioritizing women’s problems and issues in the everyday life and in institutional settings, a feminist social science and activism loomed in the 1980s as one of the most challenging actors against forms of social hegemony in Turkey. In 2000s, however, two significant social-intellectual movements rose in addition to an already more diversified and opened Feminist theory and critique: Critical studies on men and masculinities and LGBT Studies with an increasing influence of Queer Theory. They were not as organized, widespread or visible as Feminism was once, but these two more recent currents helped transform a more conventional analysis of Women’s Studies into a more comprehensive Gender (and Sexuality) Studies in the country. 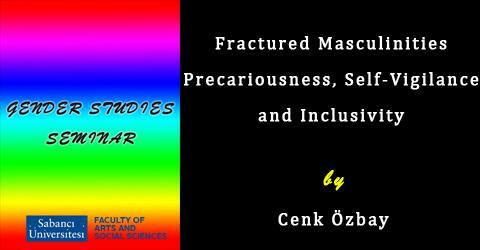 My research practice concerns with expanding our knowledge on gender towards fields of masculinities and sexualities through an intersectional analysis. In this presentation, I will talk about “fractured masculinities” –fragments of research on retail workers’ gendered experiences at the margins of middle class norms, homonormativity and affluent gay men’s navigation of respectability and social acceptance, and male protagonists’ insecure narratives and neoliberal subjectivities represented in drawn stories.